How many people can say they have a restaurant attached to their apartment building with one of the most extensive drink menus around? Not many, and we have good news. The Olivia on Main’s anchor tenant, Bar Louie, is the first of several tenants that will soon occupy the retail space on the first floor of Keystone Realty Group’s newest luxury apartment building. 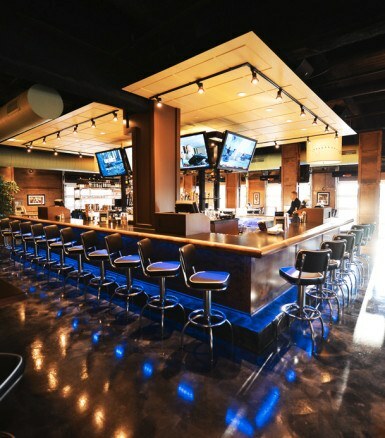 Expecting a fall 2016 opening, the 6,000-square-foot Bar Louie will be open for lunch and dinner serving up delicious tacos, burgers, flat breads, 40 beers on tap, 20 wines by the glass, and 34 signature martinis. Tenants and customers alike will enjoy late dining hours in a safe and enjoyable environment. The Olivia on Main is located on the southeast corner of Main and Old Meridian streets. The five-story building features 17,000 square feet of retail on the first floor with 204-luxury one and two bedroom apartment units. For commercial leasing information, please call Keystone Realty Group at 317-636-2000. Enjoy this post? Read our blog about The Olivia on Main’s smart locks.